You’ll stop throwing out used tea bags after you’ve read this! Some people have a true green thumb and love to spend their afternoons working in the garden. Are you one of those people? Then this tip is a great one for you. We usually throw out our used tea bags immediately after we’ve made our tea. That’s a total waste, though, because a used tea bag can make a big difference for your garden. Here are a couple of reasons why! A used tea bag can make miracles happen in your garden. It can be a bit of a challenge to grow a couple of different seedlings in your garden. The reason for this is that most seedlings never even germinate, despite all of the love and hard work you put into them. Now, luckily, we’ve found a perfect solution for this. This is a very easy way to turn your garden into a true plant paradise. All you need to do is bury a used tea bag in the soil. 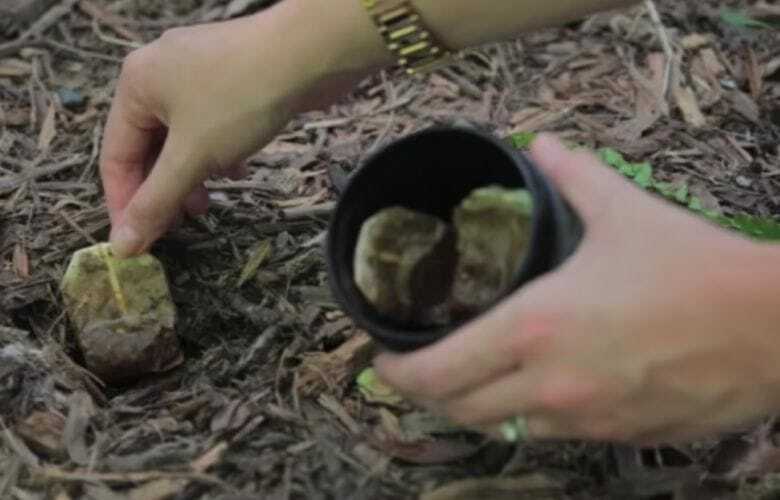 By putting a tea bag into the earth in your garden, you’re providing it with extra nutrition. Tea leaves contain tannin and nutrients, and they are a natural fertiliser for the soil. The tea bag itself is usually fabricated from the fibres from the abaca plant (this is a type of banana plant). The tea will very easily dissolve in the earth and it will create a good and healthy environment for your flowers and plants to grow. Another thing the tea bags do is keeping vermin at a distance. Used tea bags, but coffee grounds as well, help to make sure vermin stay away from your beloved plants and flowers. The smell of the tea or the coffee is unpleasant to the creatures that want to eat up your plants. It will chase them away and your plants will be safe! Want to know what else tea bags can do for your garden? Keep reading and watch the video on the next few pages!